In 1997 I was asked to create an installation at the “Sansair Gallery” in Vancouver, B.C., Canada. I decided to install a double bed and invite a Japanese woman along. We stayed in bed for seven days and seven nights. During opening hours we greeted visitors at the gallery. The experience involved many conversations with visitors and a series of photos. 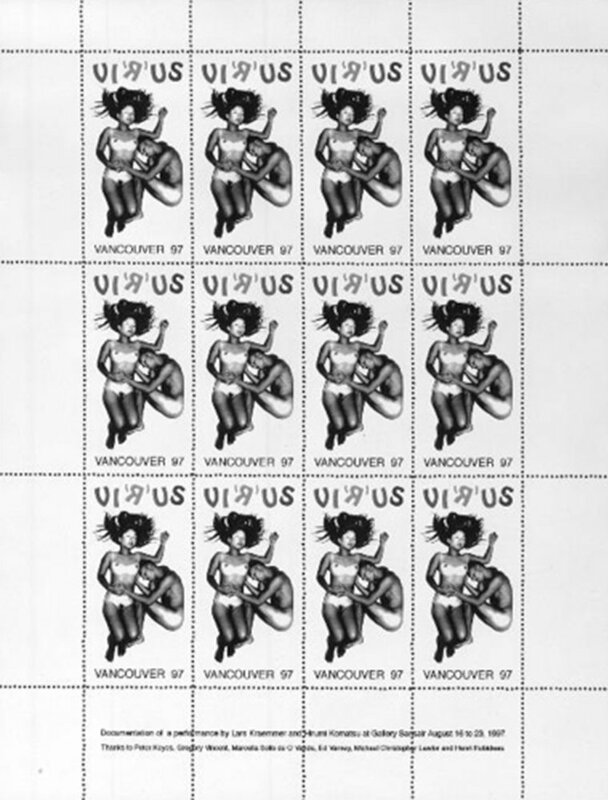 One of the photos was issued as an artist stamp by Ed Varney at the end of the period.